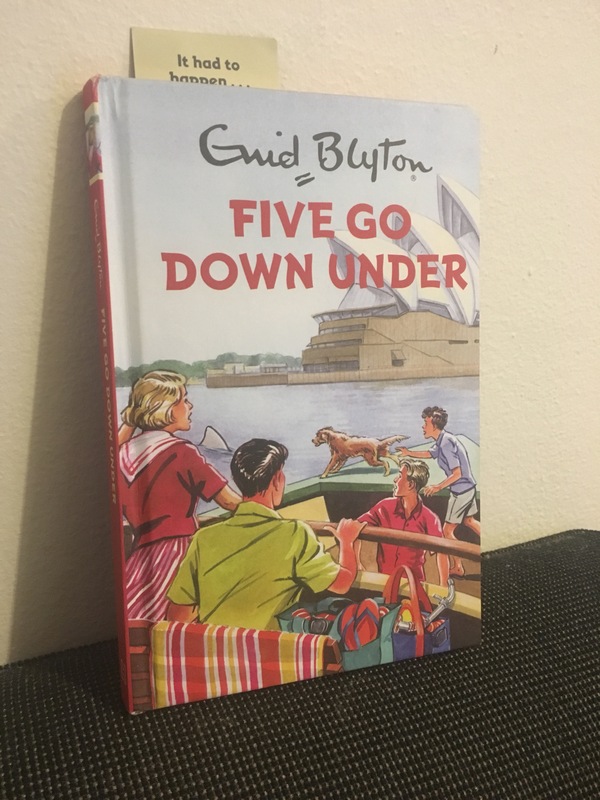 Enid Blyton: Five go down under by Sophie Hamley | Educate.Empower. The Famous Five are back and this time they are having a Gap year in the suburb where so many English tourists seem to dwell – Bondi. In this Famous Five novel for grown ups, we follow the Five as they learn about life in Bondi, try to understand the local lingo, eat out at Burnt Sugar Love Goddess Gratitude (which strangely reminds me of a place my friends frequented during their time in Bondi), go surfing and get stung by a blue bottle! The Famous Five meet the ‘Sydney Six’ who not only are their idols from their favourite Australian sitcom but also interesting tour guides for life in Bondi. But their adventures don’t just happen in Bondi – they also venture further afield for a taste of #outbacklife on a working farm out in Wagga Wagga. If you need a laugh and an easy this book is a must as are the many more Famous Five books now on offer! I loved the Famous Five! This one is a little bit different….